Used to determine the amount of air drawn into the engine cylinders. 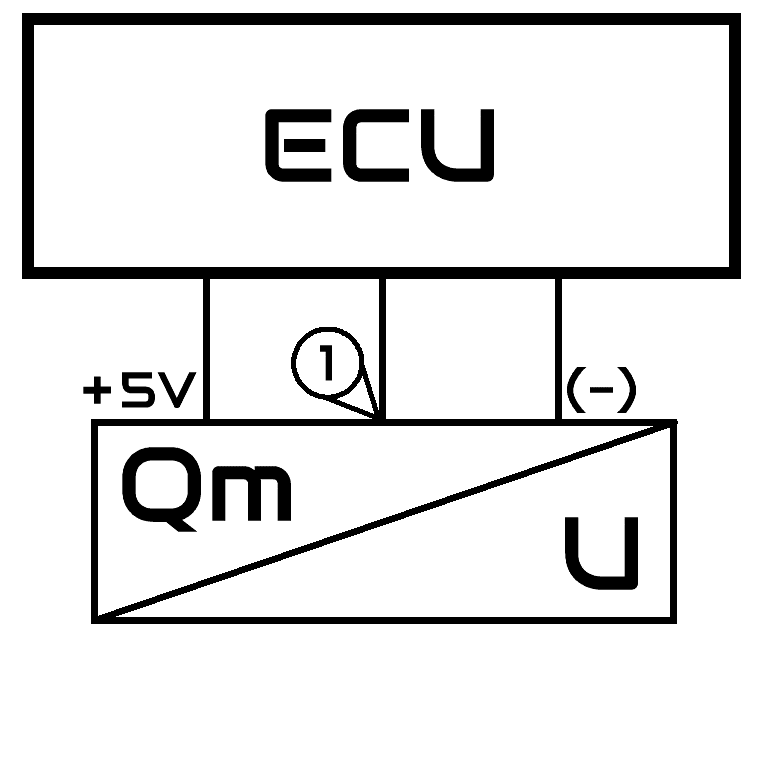 The output signal can be a linearly changing voltage or a changing frequency, depending on type and manufacturer. Karman vortex air flow sensor. 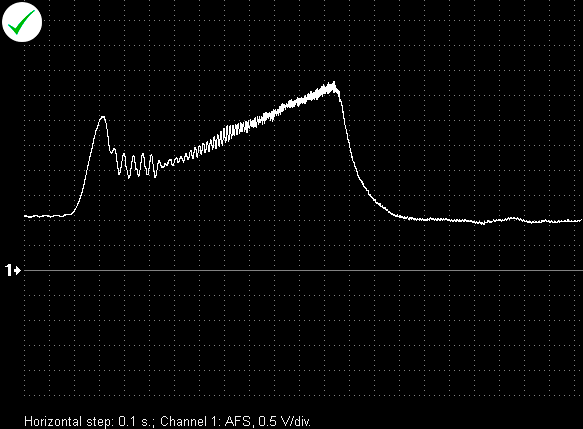 Output voltage waveform from a properly functioning volume air flow sensor based on the potentiometer (BMW 318 1.8i 1996). 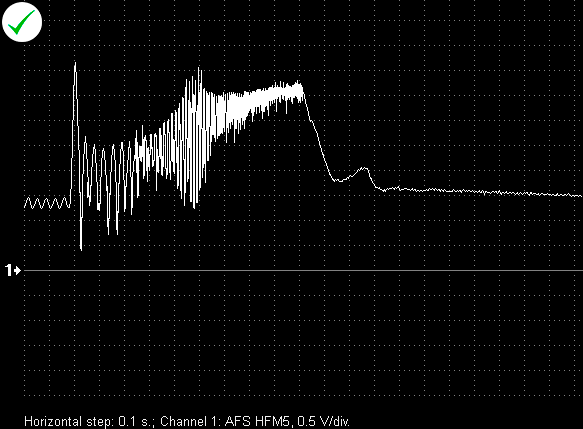 The waveform was recorded during snap throttle. 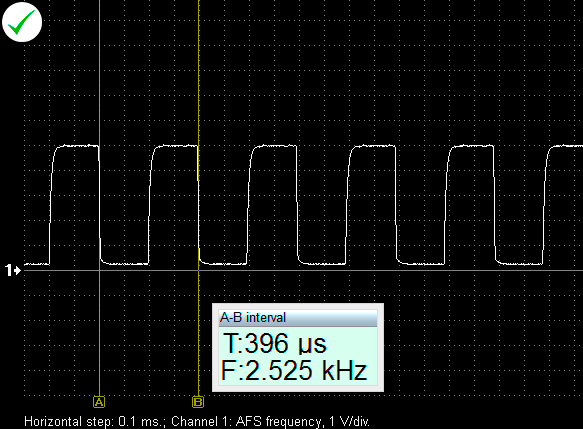 Output voltage waveform from a properly functioning mass air flow sensor. (Toyota Avensis 1.8i 2007). 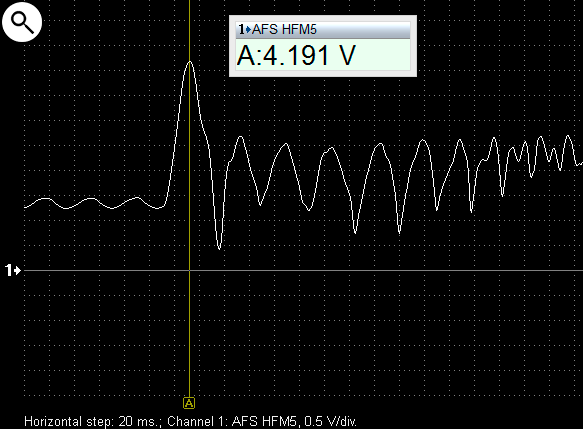 Output voltage waveform from a properly functioning air flow sensor BOSCH HFM5 (Alfa 156 2.0i 2001). Snap throttle. 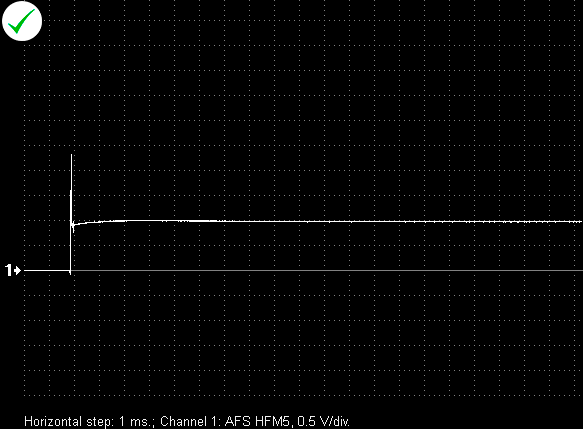 Output voltage waveform from a properly functioning air flow sensor BOSCH HFM5. Moment of turning the ignition on. Output voltage waveform from a properly functioning mass air flow sensor with a frequency output (Opel Vectra C 2.2i 2006). 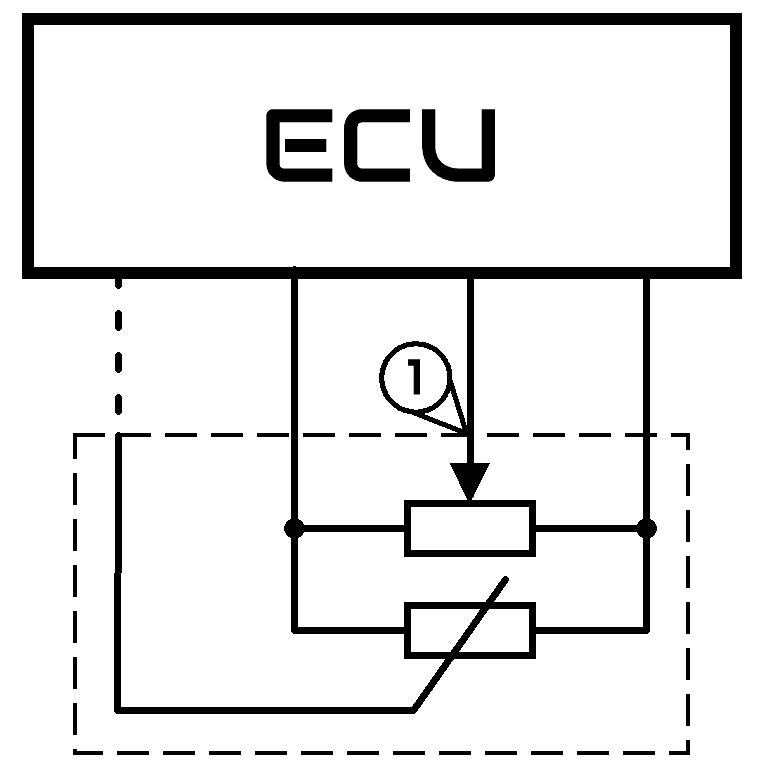 KOEO (Key On Engine Off). 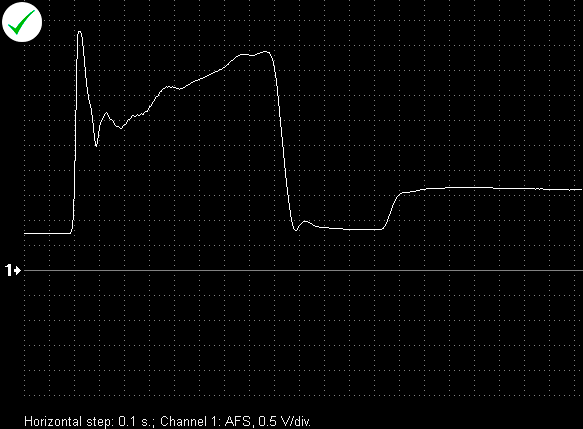 The engine is at idle.